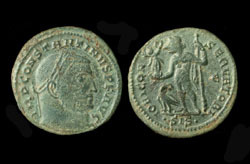 Vetranio, Follis, Hoc Signo Victor Eris reverse! 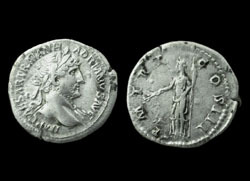 Mark Antony Legionary Denarius, c. 32-31 BC SOLD! 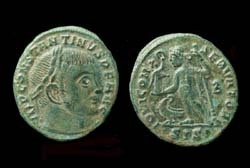 Constantine I, VLPP, Siscia Mint, R3! 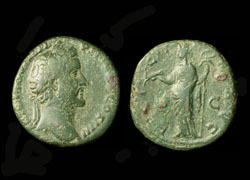 Aurelian, antoninianus, Soli Invicto, Tripolis Mint! Domitian AR Denarius, Struck under Titus, c. 80 AD Scarce! 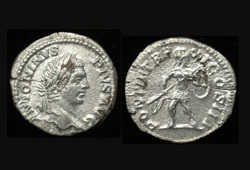 L. Rutilius Flaccus Denarius, c. 77 BC.